The project resulted in the construction of a prototype of an integrated multisensor remote sensing platform mounted onboard a single aircraft. For the first two years in the course of the project, aerial data collection is carried out 3 times during vegetation season ➪ spring – summer – autumn. Each data collection is conducted in 37 research areas of about 600 km2. Simultaneously, botanical and remote sensing field measurements are taken. Botanical measurements serve to collect a large sample of reference points for all habitats located in all research areas. These measurements will be used for classification of remote sensing data. habitats located in about 5000 test areas. 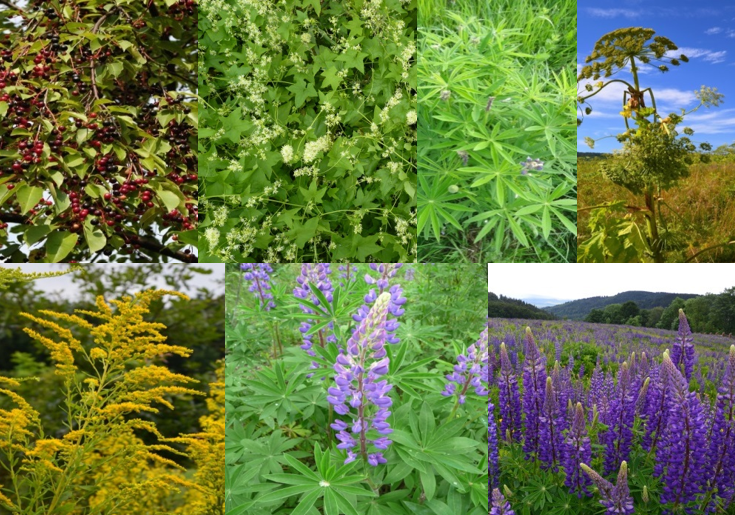 invasive and expansive plant species – succession promotors in 1800 test areas. Field remote sensing measurements provide information which will be used for developing atmospheric correction of hyperspectral images. The objective of the analysis is to develop a methodology of identification of non-forest Natura 2000 habitats in agricultural areas using remote sensing methods. This will be realized with the combined efforts of a large team of experts representing various disciplines, and will require the use of specialized computational units with a large computing power. 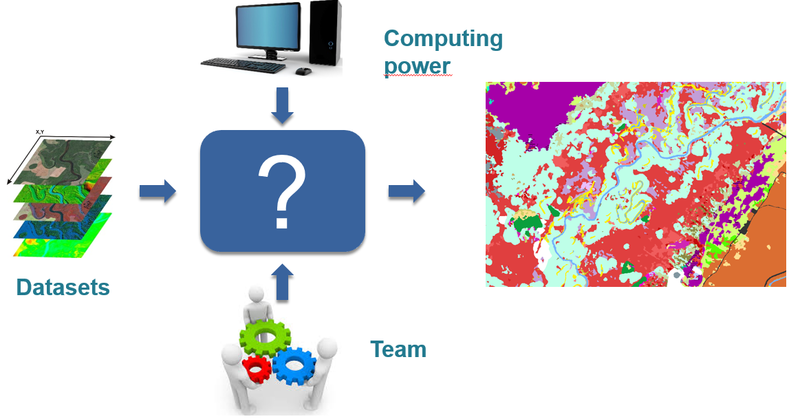 The objective is to develop succession process identification methodology in non-forest Natura 2000 habitats using remote sensing techniques. The research covers the species of trees and shrubs which are succession promotors in the researched habitats. Succession promotors: Alnus glutinosa, Betula pubescens, Salix cinerea, Salix rosmarinifolia, Pinus sylvestris, Juniperus communis, Prunus spinosa, Crataegus ssp., Rhamnus cathartica, Cornus sanguinea, Betula pendula, Populus tremula. 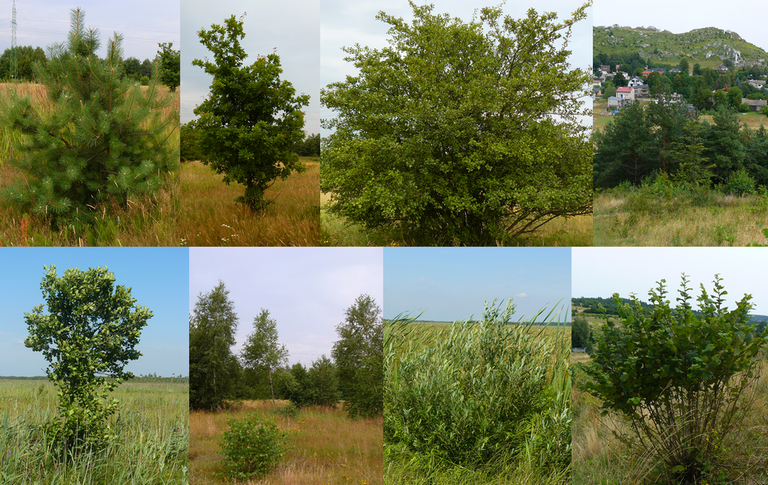 The objective is to develop the methodology of invasive alien and expansive domestic plant species identification in non-forest Natura 2000 habitats using remote sensing techniques. The research covers invasive geographically alien and expansive domestic plant species which pose a threat to the researched habitats. 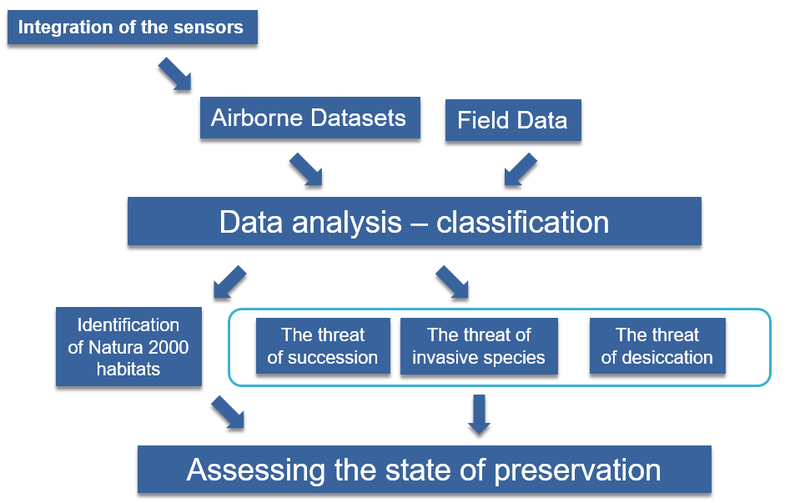 The objective is to develop desiccation threat identification methodology in non-forest Natura 2000 habitats using remote sensing techniques. The research covers Natura 2000 habitats for which desiccation is a defined threat. The objective is to optimize the methodology of inventorying and monitoring non-forest Natura 2000 habitats using remote sensing methods. This will result in developing a methodological publication aimed at technical and technological support for environment inventorying and facilitating activities in terms of environment monitoring. Each of the classification algorithms developed in this project along with the obtained data will be analyzed in terms of effectiveness and identification accuracy, as well as time consumption of proposed procedures and the necessary technical, technological, organizational facilities and competences. The analysis pertaining to each habitat will be carried out using SWOT elements.